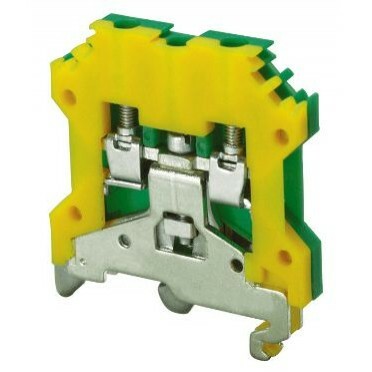 These Terminal Blocks are used for Grounding / Earthing Wires. They are Green-Yellow colour coded as per industries standard. They have the same top profile as their respective feed through Terminal Blocks. CGT4U can be mounted on the DIN 35 and DIN 32 rails.